Lincolnshire in England has received a visit from aviation advisers associated with a new World War II mini-series from Steven Speilberg and Tom Hanks – Lincolnshire has a history of working with the US Army Air Force. The Mighty Eighth is a 10-part mini-series by Spielberg and Hanks. It’s the third part of their trilogy which includes Band of Brothers and Pacific. We actually aren’t too sure when the name change happened but, MASTERS OF THE AIR , the WWII companion piece to BAND OF BROTHERS and THE PACIFIC, now has the official title of THE MIGHTY EIGHTH, in our opinion you couldn’t have a better title – the Eighth Air Force is legendary. 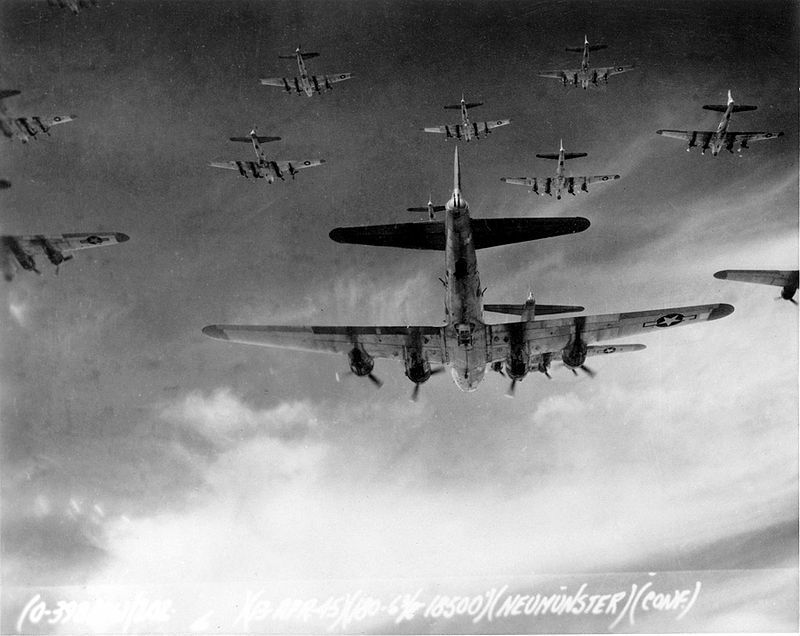 The new series will feature the daylight bomber raids by American forces over Nazi Germany. Those raids launched from bases in Norfolk and Suffolk which are on the east coast of England. What scenes will be shot in the UK have not been determined. Authorities in Lincolnshire want to encourage that their area be included since they were strongly linked with the USAAF in the war. 30,000 US servicemen were stationed in the Grantham area during the war. They were there to prepare for D-Day and Goxhill (in the north of the county) was used to train US pilots for bombing raids. It was from North Witham that the Pathfinder parachutists of the 82nd and 101st Airborne Division took off to become the first American troops into Normandy on D-Day. 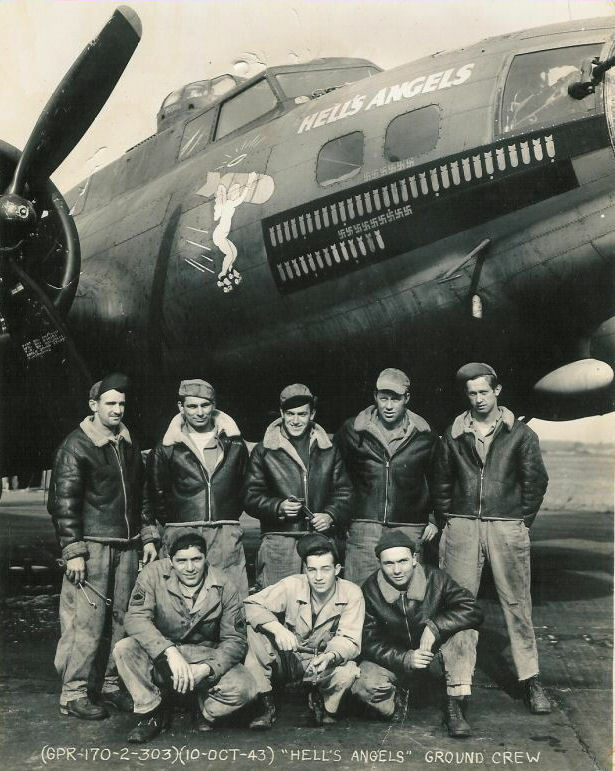 The 1990 film, Memphis Belle, shot scenes for the movie about the final mission of the B-17 Flying Fortress bomber, shot scenes at RAF Binbrook. Don Miller is the author of Masters of the Air, the book which forms the basis of the new series. John Orloff is the scriptwriter. The two are touring key sites in Lincolnshire which are linked to the USAAF on Friday, February 24th. The tour is being organized by Aviation Heritage Lincolnshire. The pair were at the Imperial War Museum Duxford. They were there for the launch of The Friendly Invasion, a new tourism package for North Americans to encourage more US tourists to come to the UK and find out about the war service of the ancestors. Miller said that the average age of a US crewman was 24. The average survival rate was 11 missions. Marson expects The Mighty Eighth to be on our screens in 2019. They are working hard now to be prepared to capitalize on the interest that the series will generate. RAF Gloxhill was among the first airfields given to the USAAF. The Americans renamed it Station 345. It was the base for the First Fighter Group, including the 71st Fighter Squadron and the 94th Fighter Squadron with its P-38 Lightnings. Miller reports that this newest WWII miniseries from HBO will focus on the camaraderie and the bonding inside the bombers – just the same as it did with Band of Brothers. It has gone through a name change. It was titled as the Masters of the Air but has now been changed to “The Mighty Eighth” as they were affectionately called because as their incredible and distinguished service and reputation spread across the whole of Europe – and in newsreels home and abroad. It is known for launching thousands of heavy bombers on a single mission. On the night of 19–20 February, the Eighth Air Force put up over 1,000 B-17s and B-24s and with over 800 fighters to bomb target in Germany – it caused massive destruction to the German war machine. “The Mighty Eight” had an incredible record of 17 recipients of the Medal of Honor, 220 Distinguished Service Crosses and a staggering 850 Silver Stars. 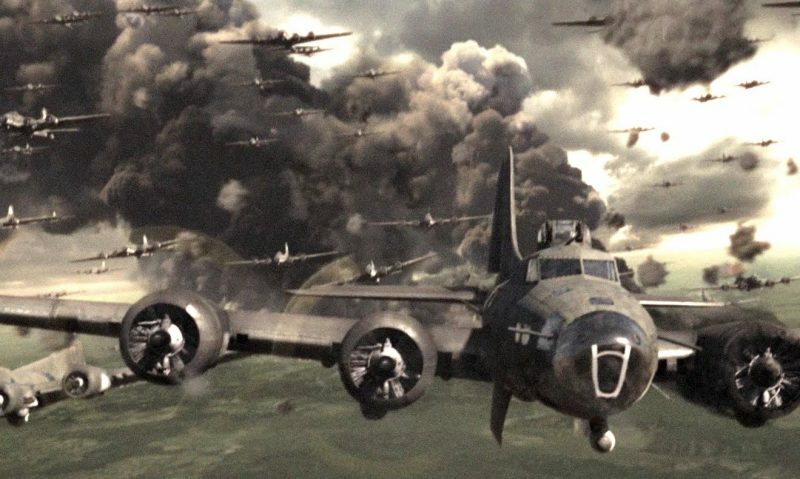 HBOs latest 10 hour WWII miniseries will focus on the air war, the death and destruction of their high altitude bombing of Nazi Germany. It will also feature the personal stories of the aircrews and the leadership of the 8th Air Force. We will be following this story very closely.